Happy new week everyone! I hope you all had some fun and some relaxation this weekend. I got in a couple of glorious naps! One of them was interrupted by a huge storm that came through with some nasty hail! It was so loud that it woke everyone up and I couldn't figure out what in the world was going in for a while - it was cray-zay! 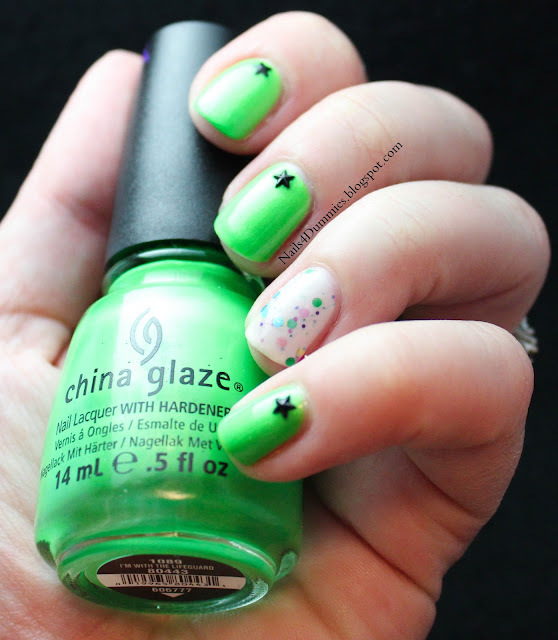 Today's mani uses one of my fave polishes, China Glaze - I'm With The Lifeguard. Isn't it a fabulous green? Then on my ring finger is Jindie Nails - Live Out Loud. 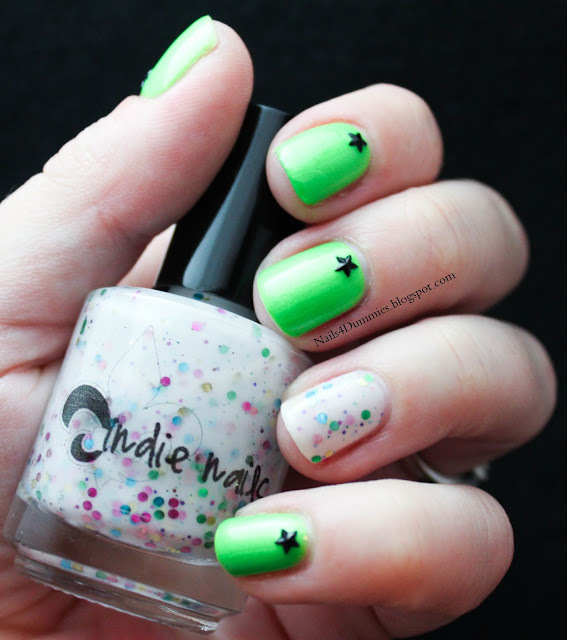 I am so in love with everything I have from Jindie Nails - the application is amazing for an indie! 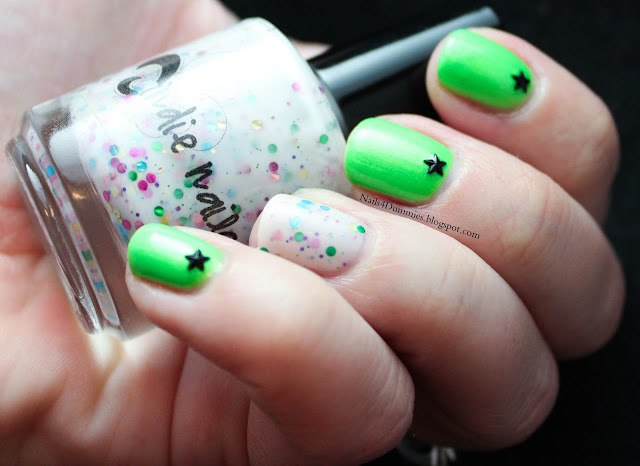 I think the little black stars added just the right touch to these nails, what do you think? Do I look cool? I don't have time for any more chit-chat *sigh* as I have to get to work. But I hope you all have an absolutely fabulous day!! so cute!!! i have that green but haven't used it yet!